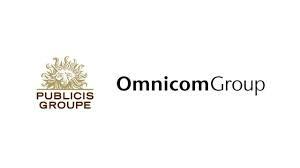 Omnicom Group and Publicis Groupe announced their merger that will form the world’s biggest advertising holding company. The combined company will have a market cap of $35 billion. The company will be known as Publicis Omnicom Group. The new company will be led by Omnicom CEO John Wren and Publicis CEO Maurice Levy. The two will be co-chief executives. The merger will bring together well-known ad companies such as Publicis’ Leo Burnett and Saatchi & Saatchi and Omnicom’s TBWA Worldwide, BBDO Worldwide, and DDB Worldwide. The new company will have more than 130,000 workers. The merger deal would be completed as soon as the fourth quarter. The new company will be listed on the New York Stock Exchange and Euronext Paris with the symbol OMC. The combined revenue for both companies was $22.7 billion in 2012. Levy said that the merger gives the companies more power to better cater the traditional and digital advertising requirements of clients. Wren said that the combination will enable them to fully utilize the skills of their employees and enhance their global footprint. The merger will aid the companies in their growing Latin American and Asian markets, such as Brazil and China. These markets helped offset the lackluster growth in weak European markets. The combined company will create $500 million in savings according to the statement by the company. The decrease in competition could result to regulatory problems. Analysts said that there could be opposition from regulators from the US and France. The US might be concerned of having one company control a big portion of the market. Publicis Omnicom Group would have three of the five largest media agencies in the world. These include four of the largest US media agencies. In France, the regulators might not like the Americanization of a company that has contributed to its economy.